The Glagolitic alphabet dates back to the 9th century, and is the oldest known Slavic alphabet. It was in use in Croatia from the 12th to the 20th century. Glagolitic inscriptions can be seen in several places in Istria. 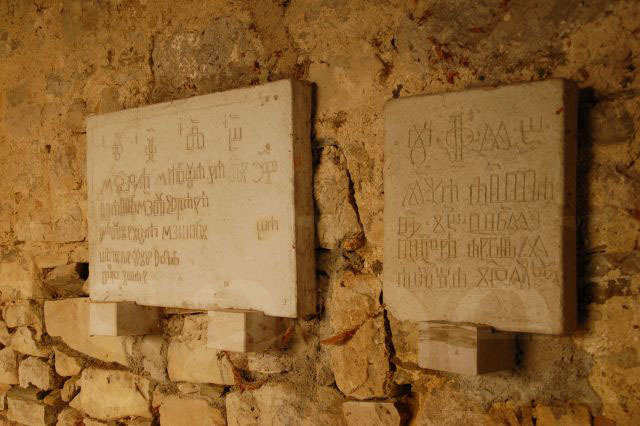 These stone tablets with Glagolitic characters in the image above are found in Hum's town gate.